And tread lightly, lest you trample them, for it is only with a Light Heart that you shall find it. I speak to you of your treasures within, waiting to be manifested. Believe it and it shall be so. But first you must let go of all worldly things so you can find them again (within). Indeed, all is taken care of, dear one. Believe it. (Believe and act as if you already have what you want). Imagine it within your Heart and it shall be so. I am here to convince you of your manifestation abilities, dear one. Call on me. Don’t try…just let it come alive within you, and it shall be so. So, what do you desire, dear one??? Be gentle and easy with yourself. Do only what you can. Do not strive. But settle in instead to the knowing that you already have enough, you have what you need. You can march forward with your dreams now. Be gentle with yourself and all will be well. I am here to encourage you to be at peace with knowing that you are OK as you are. 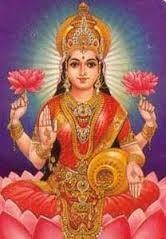 This entry was posted in Fran's Channeled Messages, Goddess Lakshmi and tagged Abundance, Believe, Channeled Message July 7 2014, Fran Zepeda, Goddess Lakshmi, Lakshmi Goddess of Prosperity, Light Heart, Manifestation, Prosperity Flows, Treasures Within. Bookmark the permalink.